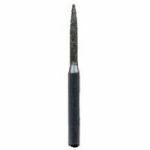 1/16" shank FG ("friction-grip") burs to fit your ultra-high speed air turbine. 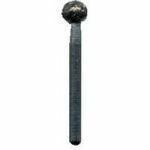 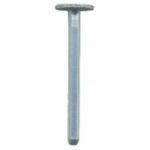 Carbide burs are used on all "softer" materials like wood, most metals, eggshell and soft stones (soapstone). Single-cut carbide burs leave a smooth cut, while cross-cut burs cut cooler and more quickly, but they leave fine ridges. Diamonds are essential for hard materials (like stone and glass); they will also work on softer materials (like wood). 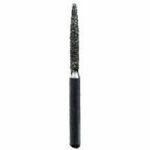 Stone burs are great for texturing and smoothing softer materials as well as pre-polishing in hard materials. 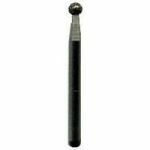 Rubber polishers give a fine finish in most metals, but they must be used at reduced speeds or they will disintegrate. 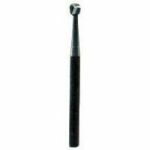 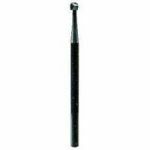 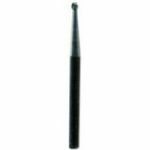 All burs (except rubber polishers) are rated for use in UHS handpieces up to 450,000RPM.